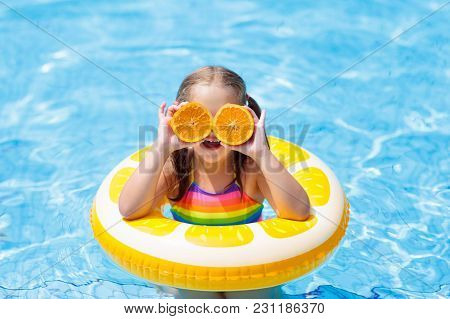 sunglasses › Buy Poster of Child In Swimming Pool. Kid Eating Orange. Poster of Child In Swimming Pool. Kid Eating Orange.